John counsels clients on patent law and corporate transactions relating to intellectual property law. 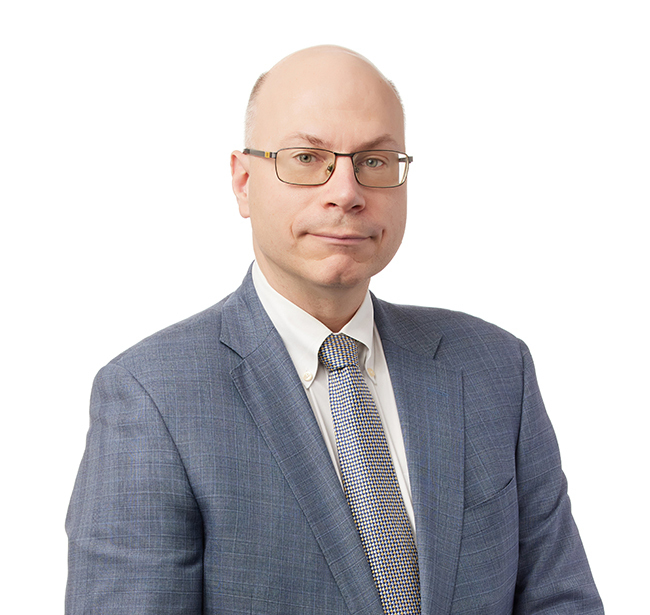 As co-chair of the firm’s Intellectual Property Practice Group, John prepares and prosecutes numerous domestic and foreign patent applications in complicated technologies. He provides extensive client counseling in relation to the pursuit and utilization of intellectual property rights, and advises clients on corporate transactions involving the purchase or sale of intellectual property assets. Further, he prepares patent opinions and provides guidance regarding the scope of intellectual property rights, and counsels clients in the area of post-grant proceedings such as inter partes review proceedings. In addition, John also prepares trademark applications and conducts related review of issues pertaining to securing trademark rights. John has technical knowledge in the areas of electrical and mechanical engineering, including computer hardware, software and the Internet. His experience includes work in the areas of mobile devices, wireless communications, electromagnetics, optics, semiconductors, control systems, including industrial controllers and motor controllers, artificial intelligence such as intelligent agents, and a variety of complex systems, including imaging systems, heating and cooling systems, automotive systems, and agricultural systems, as well as engines, motors, and generators. Additionally, John has experience working with FinTech matters, including technologies relating to insurance, benefits, and payment services.